We can repair all windows manufactured in America. The advantages of wooden windows have been appreciated by modern society long ago. Their aesthetic beauty is complemented by excellent functionality and unsurpassed heat retention in the house. Coziness and comfort is provided to all owners of wooden windows. However, these products have a significant drawback - the lifetime. Natural material fails faster, and wooden windows are inferior in this parameter to their counterparts from plastic. Due to decay and destruction, it is necessary to completely change the windows in the house. In this situation, you will need qualified assistance that will be provided by Window Repair & Glass Replacement Services. When you need repair of wooden windows? The best option to save your budget would be to contact our company at the first sign of breakage of the window construction. Otherwise, the restoration will cost more, since the destruction will reach a maximum value. The glass or frame has many cracks. The window box is twisted or there are traces of another deformation. Handles, hinges, or other hardware doesn’t work properly or has broken. Save money with Window Repair & Glass Replacement Services! The window will not be repairable. In this case, you will have to completely change the product to a new one. 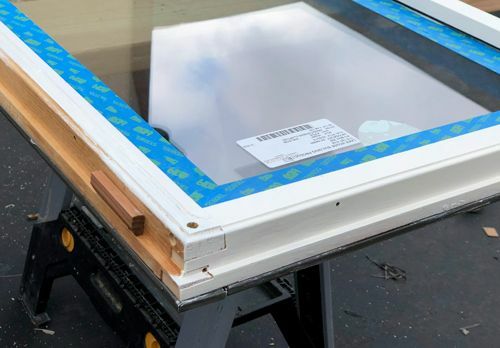 In the case when the paint has broken off or cracked on the frame, or the glass is damaged, we will be able to fix these problems at an optimal cost. Our experts will quickly understand and fix the problem. Decayed wood, severe damage and detachment of the frame. Deformation of the box or glasses. Breakdown of the window opening / closing mechanism. Update paint or change its color. Mechanical damage of the windows, accessories, frame. 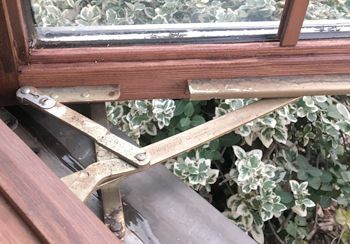 repair, replacement or restoration of any window equipment, including balancing. To save your budget and not buy expensive new windows and their installation, you can order the restoration of your wooden windows. Our experts will be able to detect the problem and maintain the strength of even the old wood, hidden under a layer of paint that has already peeled off. We will be able to return to them the former attractiveness, improve functionality, increase the service life and maintain reliability with the help of new, modern technologies and high-quality materials. After restoration you will receive a window in excellent condition. Plus, our masters can create a unique design, emphasizing the beauty and comfort of your home. 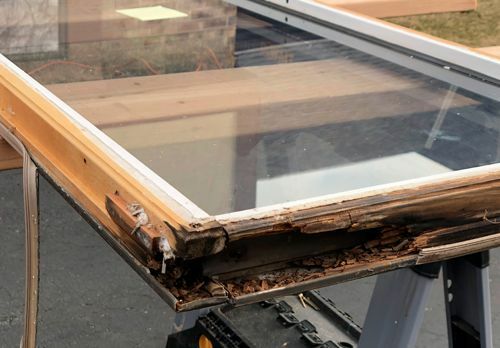 In order to avoid such troubles as splitting glasses, drafts, loss of noise and heat insulation, dust penetration and so on, it is necessary to repair and take care of wooden windows in a timely manner. Our specialists will be happy to help save your money and provide all services that extend the life of your window openings. With our help, you do not have to constantly repair and restore wooden products. The most vulnerable and often broken part of the windows is glass. A crack or breakdown may occur due to unreliable fixation of an open window frame, hit of a heavy object, careless handling when opening or closing a window. If your glass is cracked or completely broken, it should be replaced immediately. Don’t forget about the planned replacement of glass, which occurs on a schedule specified by the manufacturer. All defects found on glass not only affect its appearance. 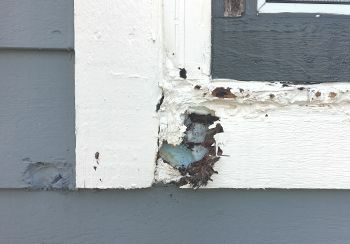 Cracks, chips and other damage affect the preservation of heat wooden window. The more flaws on the glass, the more heat loss is waiting for the room. Ignoring such defects is inadmissible - over time, even a small crack can turn into a huge nuisance. The window can be completely destroyed and lead to a waste of time and money for the complete replacement of the structure. Our company employs professional craftsmen who will replace glass on wooden windows in a short time and at the best price. In our company, repair, replacement and restoration of windows in Chicago is a great deal for your comfort, coziness and happiness. If you find any problems with your wooden window, you can contact us and get a completely free consultation. Do not rush to spend your money and completely change the window kit! We will fix any problems, we will restore the glass and the frame for a much better price than you can spend even on the cheapest wooden windows. We are satisfied with the results we got from this great team of experts and the way they related with us. We were impressed with their management skills and their excellent communication practices. Thank you guys again !!! You save to me a lot money for doing that !!! 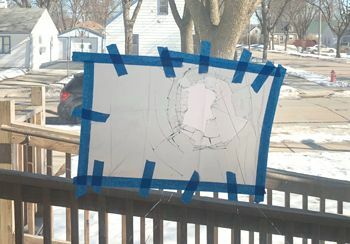 Received professional repair service on my windows. Reliable company with great customer service. Estimator was very professional and offered many solutions for my problematic wood windows . After the job was completed one of technicians did a final walk-through with me , I have nothing to say but I’m amazed. Thanks again! Definitely will recommend. Many owners of apartments and houses are wondering how to save housing? There is an answer to this question - to make repairs on time. In particular, it is necessary to repair windows in order to extend their service life. Over time, the windows are destroyed under the influence of external factors, which leads to deterioration of thermal insulation. It is difficult to cope with all problems on your own, so it is recommended that you immediately contact specialists. Window Repair & Glass Replacement Services in Chicago has been operating for more than five years and knows how to properly repair all type of windows designs. Our organization employs only professionals with specialized training.